Buying a home is a big step, there's no doubt about it. And now that the busy spring and summer real estate season is upon us, North Shore buyers may find themselves with a few extra butterflies when thinking of making a move. As your North Shore real estate expert, I can help you calm your nerves about buying a home in Glencoe, Winnetka, Deerfield, Northbrook, Highland Park and the surrounding areas! I'm sharing a few ways below, but do not hesitate to reach out to me with any questions you have about buying this year! Many homebuyers are unaware or misinformed of the requirements for securing a mortgage and as a result, put off buying altogether. To put yourself at ease, gather as many facts about mortgages as you can, explore the different loan options and what is necessary to qualify for each one. Once you've learned the in's and out's, you may find yourself much less apprehensive about buying. If you're worried about the costs of homeownership, it's time to sit down and map them all out. Write down what you currently pay for housing, utilities, maintenance, and other home-related expenses. You may be surprised to learn that the costs of renting are higher! It is always wise to enter your homebuying journey with some savings as many homeowners will tell you, expenses can pop up when you least expect them. If you already have a savings in place, you can rest assured knowing that you will be prepared when these issues do arise. You can gather mortgage quotes from North Shore lenders across various mortgage loan programs— from 30-year-fixed-rate mortgages to 5-year-adjustable-rate mortgages. 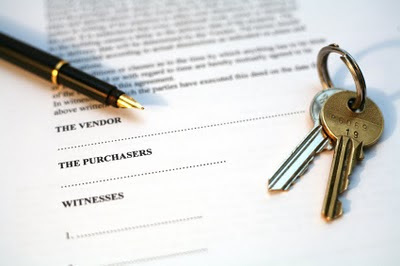 With these in your possession, you can better estimate what your monthly payment will be and if you can realistically afford to buy a home in Glencoe, Winnetka, Deerfield, Northbrook, or Highland Park. Let's chat about how you can purchase a home on the North Shore this year, stress free! I look forward to hearing from you!